SBG Niagara: We're here for YOU! Straight Blast Gym Niagara is the place for YOU if you are looking for a martial arts and fitness program that has been designed to benefit both high level athletes AND the absolute beginner. Although some of the SBG athletes from around the world participate in the sports most elite competitions, like the Ultimate Fighting Championship or the Brazilian Jiu Jitsu World Championship, more than 95% of our members have joined our gym to have FUN learning functional self defense and fitness. We have members as young as 5 years old to 63 years young. They felt comfortable right from the start with us due to our world class coaching staff and the SBG Coaching Methods. 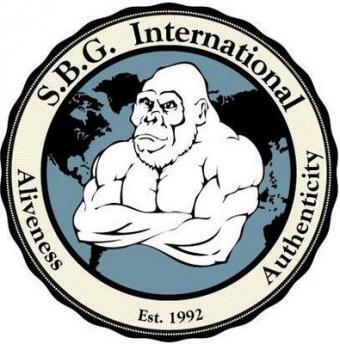 We are the only gym in the Niagara Region that offers the SBG "Absolute Beginners" Foundations Program. This is an 18 lesson rotating curriculum that allows the "average joe" to come in and effectively and confidently learn any of our systems, be it Brazilian Jiu Jitsu, Mixed Martial Arts, SBG Striking or any of our Fitness Programs such as Steel Cage Fitness, Warrior Woman Fitness BootCamp, or our KickFit: Women's Cardio Fitness Kickboxing. Our Coaches are here for YOU! Unlike some other gyms, you can count on your SBG Niagara Coaches to show up for their classes on time, ALL THE TIME....no classes being switched to "open mat" due to coaches not showing up. You can also relax knowing full well that no SBG Niagara Coach will ever roll or spar against you with the intent to hurt you to show you how tough they are. At SBG NIAGARA, we believe tough isn't how you act...tough is how you train! Call us today to get started on your ABSOLUTE BEGINNERS 30 DAY FREE TRIAL!